The Fast, Easy and Cheap Way To Make Fresh, Homemade Juice. Works With Any Blender. Enjoy the health benefits of fresh, homemade juice without the high cost. This universal juicer attachment works with any blender, and it will instantly transform your regular machine into a powerful juice extractor in a matter of seconds. 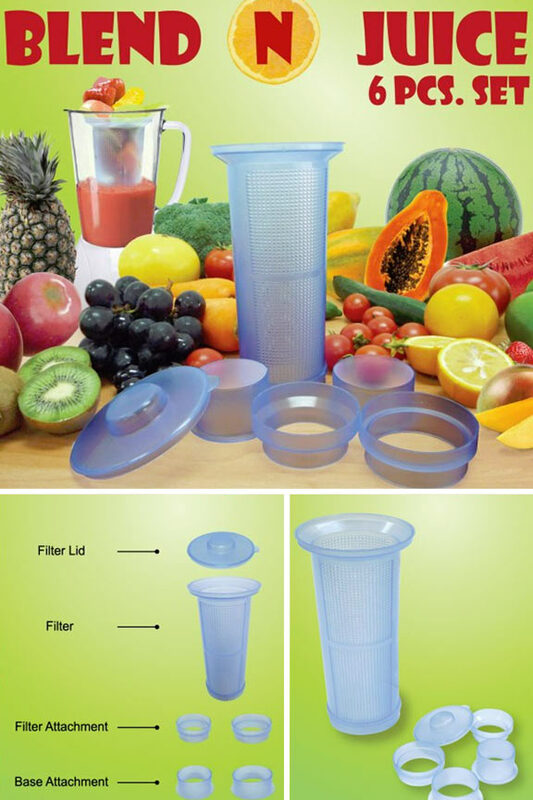 Use with fruits or vegetables to create healthy beverages without springing for a second, more expensive unit. Simply place the strainer core into the center of your blender, add fruit, and turn on to power through carrots, strawberries, oranges, apples and other food with ease. All of the pulp, seeds, skins and stems will remain inside the tall basket, but all of the delicious juice will escape out through the holes. Pulverize everything and pour a nice tall glass, but then turn on again and watch as it magically finds more liquid, and allows you to squeeze out every last drop. This clever gadget enables you to harness the power of your existing blender to make it far more useful. Forget about chunky, fruit flavored mush because with the Blend N Juice, you will only get professional style results of pure liquid goodness. Complete with adapters to fit any model, and all pieces are dishwasher safe to make clean up easy when you finish. Order Yours Today! Uses Quickly make fruit or vegetable juice with your blender. Secure inside any model or brand to squeeze out every last drop of liquid and keep it separate from peels, pulp, seeds and stems. Pieces Included One universal strainer, one lid, and four adapters pieces for a perfect fit. Juice Made Use for fruit or vegetable juice. Add both for a blend. Capacity Will do multiple servings at once. Strainer is equal in height to most machines, but has a smaller diameter. Dishwasher Safe Yes - Top rack. Reusable Yes - Totally washable and infinitely reusable. Compatibility Works with any blender. Universal Juicer Attachment - Place inside any blender to enjoy the health benefits of freshly squeezed juice. 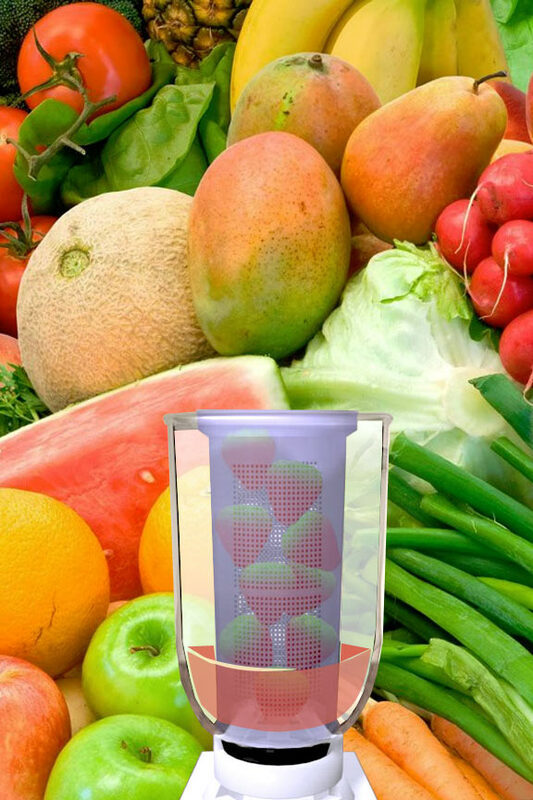 Easily add in any fruit or vegetable and turn on to separate the liquid from the rest. Order Yours Today. I have been using this product for YEARS! It is so convenient for making natural juice drinks from fruits with seeds like guava, soursop, passion fruit and Barbados (acerola) cherries - no more squeezing through muslin or strainers... For me it's a "must-have". does it work with blender ?? does it really kame juice? Yes. 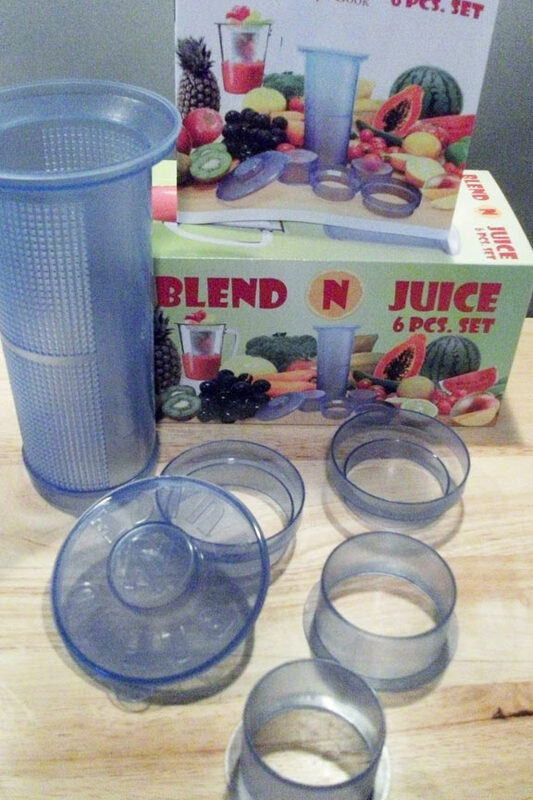 It works with your regular blender to extract juice from fresh fruit. The thick stuff is easily separated from the liquid when you use this attachment. 5 of 5 Customer(s) found this Answer helpful. Will this work with a ninja blender? 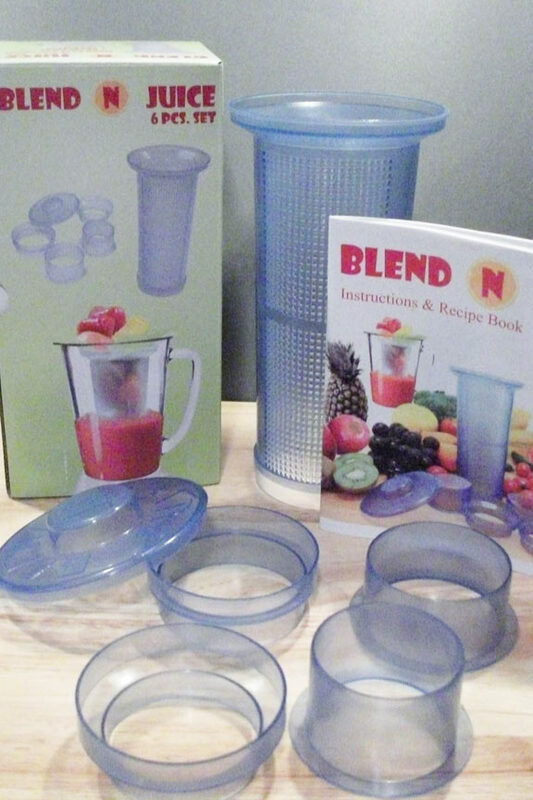 It is designed to work with any standard size blender. 3 of 6 Customer(s) found this Answer helpful.